Management Trainee: We hire them for functions like – Marketing & Sales, Human Resources, Finance & Accounts, Supply Chain Management, Operations & Materials, etc. Graduate Engineer Trainees: We hire them for functions like – Production, Engineering, Research & Development, Product Development, etc. Officer Trainees - We hire them for Support Management functions. 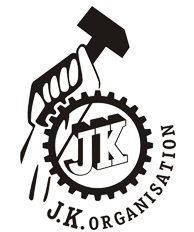 To hire engineers, management professionals, etc., JK Tyre targets the premier engineering schools and B-schools. The hiring process starts by shortlisting the top institutes and visiting them. Then the application screening takes place to find the best students of the institute. It is followed by group discussions, case study analysis or aptitude tests, whichever is applicable to the relevant positions. The selected candidates then appear for interviews with the technical and HR professionals after psychometric tests. Finally the best candidates are selected. They are given offers and they come onboard.